Hundreds of sailboats are expected to race between the piers in the South Bay, Aug. 26-27. REDONDO BEACH ― King Harbor Yacht Club (KHYC) hosts the 5th annual King Harbor Race Week, Aug. 26-27, welcoming hundreds of sailors to the South Bay during the final stretch of summer. The Redondo Beach regatta is open to all sailboats longer than 13 feet. The weekend event includes three buoy races on Saturday and two races on Sunday, with a variety of classes. 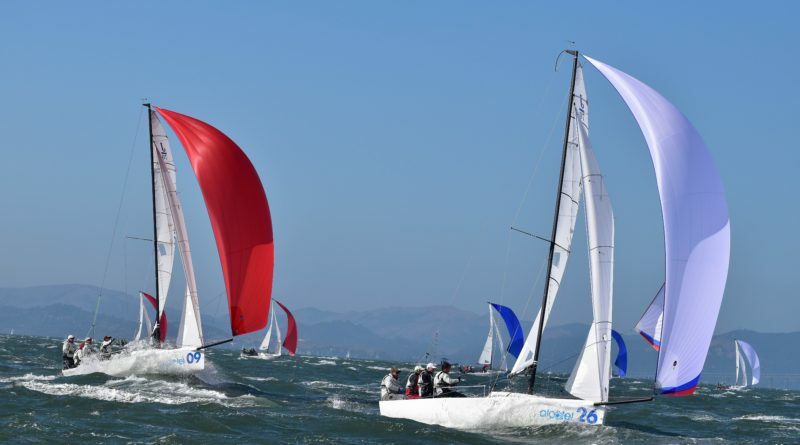 Inflatable marks will be set up between Hermosa Beach and Manhattan Beach piers to make an upwind and downwind course, and all five races will be four to five miles each, regatta chair Jim Murrell explained. Spectators will see numerous classes compete including Multihull, Mercury, J70, Viper 640, Martin 252, Cal 20, Farr40 as well as all PHRF classes. Registration fees range from $60 to $175 depending on the length of the boat. Skippers registering before Aug. 20 qualify for a $15 discount. “The regatta entry fee includes food, liquor tastings, complimentary after race beer, and a band both nights for captains and crews,” Murrell wrote in an email to The Log. The races begin each day just before noon. The after-race hospitality on Saturday will include a taco bar and beer with rum tastings and live music upstairs. Liquor tasting and appetizers will be provided on Sunday followed by an awards ceremony at 6 p.m. The venue is located at King Harbor YC, 280 Yacht Club Way, Redondo Beach; the yacht club will provide docking for racers. Race documents and registration are available through King Harbor YC’s website.